Approximately 60% of the nation’s wealth is controlled by women.1Lisa Resnick, “The Financial Sector’s Gender Revolution,” Open Knowledge blog), Allianz, August 25, 2010 http://knowledge.allianz.com/demography/population/?191/the-financial-sectors-gender-revolution, accessed May 16, 2013. These women may be corporate executives, mid-level managers, business owners or not employed. They may have built their wealth or inherited it. They may be single, married, divorced or widowed. No matter how varied or unique members of this group of female leaders may be, they tend to share some commonalities when it comes to investment and financial planning needs. Women generally live longer than men, so their money needs to support them for a potentially longer life span. Many women also tend to have non-linear career paths and longer periods of time outside of the workforce and therefore spend less time earning than their male counterparts. Additionally, women may provide financial support to grown children, parents or other family members, adding to their overall financial obligations. 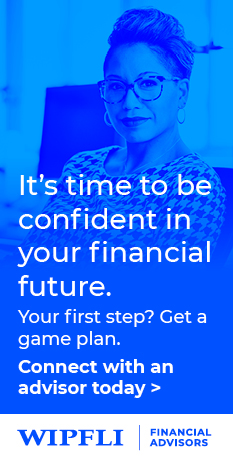 With these extra issues to consider, it’s even more vital for women to develop a strong financial plan to ensure that they’re on track to meet their financial goals and able to fulfill their financial responsibilities. You should consider reviewing wealth management in several key areas: Financial Planning/Investment Review, Benefits, Tax Management, and Charitable Support. It is important to have a financial plan. It can help assess spending behavior and help with investment and retirement decisions. During the financial planning process, it is important to determine financial obligations, especially if financial support is provided to grown children, parents, or extended family members. Within the financial plan, it is also a good time to do an insurance review, analyzing company insurance benefits and their portability as well as overall insurance needs. It is important to review your family’s needs and whether additional policies are required to fully protect loved ones through life or disability insurance. While planning for retirement or career changes, it is important to look at cash flow requirements. It may be that as an executive you have accumulated the bulk of your wealth in tax-deferred investments, due to the structure of executive compensation. However, if you retire early, you may need a pool of taxable savings to draw on until you can access your retirement savings. A good financial plan will identify these needs and create a plan for building a pool of savings. It is also a good idea to periodically review the overall investment plan and approach. Does it address your financial needs and pave the way towards your long-term financial goals? Is the level of risk appropriate? Is the portfolio appropriately diversified and contains the right mix of stocks, bonds and cash? Also, identify concentrated positions in company stock or options relative to the overall investment plan. As you near retirement it will be important to address the concentration relative to the overall portfolio diversification. It’s important to review your corporate benefits to make sure that you are maximizing your participation. You should determine how to replace benefits when you retire. For example, you may need to plan for interim health insurance post-retirement. Or you may have other insurance coverage through a corporate group plan that is not portable and would need to be replaced if it is needed as part of the overall wealth management plan. See Planning for Health Care Costs During Retirement for more on this topic. One of the most important areas to review is the tax considerations of your investments, benefits and cash flow decisions. When reviewing investment holdings, it is important to look for tax-advantaged investment options to help manage the tax burden in the pools of taxable assets. This is an excellent time for your financial advisor to work with your CPA and review the taxation and treatment of your compensation package, including stock options, profit sharing, deferred compensation and executive perks to help maximize after-tax wealth. If you are a business owner, you may have concerns about the business structure and organization from a tax efficiency standpoint. This is also an excellent opportunity to take a look at the retirement plan structure and the tax implications of that as a business owner. You may also want to examine your business’s valuation and the considerations surrounding a possible sale of the business with the impact of taxes depending on the payment approach in the structure of the business sale. You may be interested in providing financial support to a non-profit entity. Charitable giving can be an important part of your financial plan and becomes increasingly so as you near retirement and shift income sources from earned income to retirement savings. You should plan for charitable giving in the most tax efficient way. Whether female or male, executive or not, these approaches can help you maximize your wealth management. It is a great framework to get started with a financial plan so that can help you make the best decisions for your situation. You might consider connecting with a financial advisor to help you to set clear investment goals and develop a financial plan and well-diversified portfolio so that you can spend more time focusing on what’s important to you. Financial Planning	Why Have a Financial Guide?